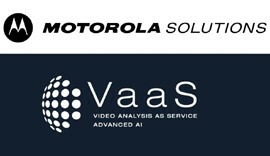 Recently, Motorola Solutions, Inc. (NYSE: MSI) announced it has acquired VaaS International Holdings, Inc., (VaaS) a data and image analytics company based in Livermore, California and Fort Worth, Texas. Motorola Solutions paid a purchase price of $445 million in a combination of cash and equity. VaaS, a “video analysis as a service” company, is a leading global provider of data and image analytics for vehicle location. The company’s image capture and analysis platform, which includes fixed and mobile license plate reader cameras driven by machine learning and artificial intelligence, provides vehicle location data to public safety and commercial customers. Its subsidiaries include Vigilant Solutions for law enforcement users and Digital Recognition Network (DRN) for commercial customers. The company’s 2019 revenues are expected to be approximately $100 million. The company’s research and development operations are based in Vietnam where it has more than 40 employees working in the specialised areas of software engineering, artificial intelligence and data analytics. VaaS’ platform enables controllable, audited data-sharing across multiple law enforcement agencies. Vehicle location information can help accelerate time to resolution and improve outcomes for public safety agencies, particularly when combined with police records. For example, law enforcement has used VaaS’ solutions to quickly apprehend dangerous suspects and find missing persons. License plate reading is a highly specialized practice that requires purpose-built cameras and analytics. VaaS’ fixed and mobile license plate reader cameras can capture and analyze license plate information, which differs greatly by state and country, even when vehicles are moving at high speeds or in low-visibility weather conditions. VaaS will join Motorola Solutions’ Software Enterprise, the team responsible for creating the company’s integrated public safety software suite.